Windows 10 cumulative update build 14393.822 is now under testing for Anniversary Update devices. 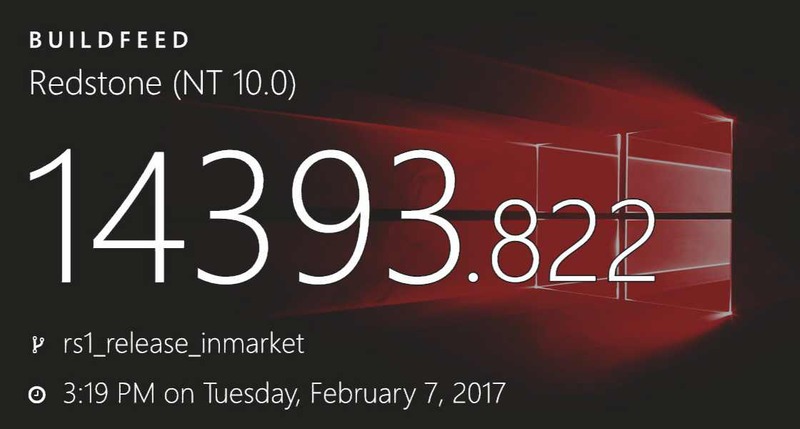 Windows 10 cumulative update build 14393.822 for PC and mobile build 10.0.14393.822 were compiled on February 7, 2017. Previously tested by Windows Insider team, cumulative update build 14393.805 for PC and Mobile build 10.0.14393.805 are expected to release on February 14. Recently, Microsoft rolled out new Insider PC build 15031 and mobile build 10.0.15031 for Fast Ring members. However, few Insider members are reporting ‘download stuck at 0%’ and other issues with the build. Read here for fixes for build 15031.